A Bivariate Choropleth map is a Classed Choropleth map that compare two sets of statistics. 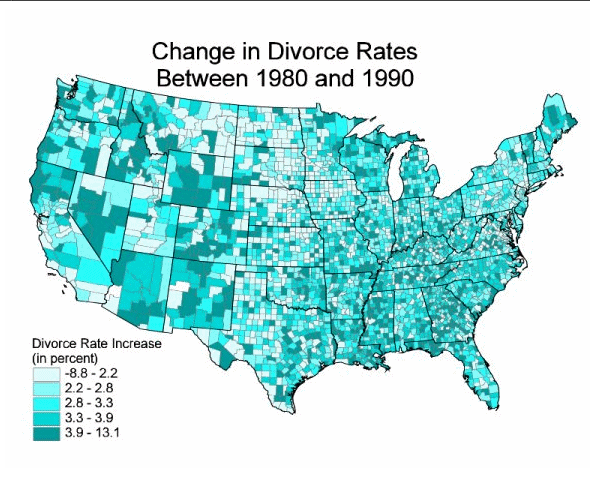 The map above showing the change in divorce rates, comparing a 1980's Classed Choropleth Map to and 1990s Classed Choropleth Map. *If you go to the source of the photo the map flashes between Classed Choropleth Maps. I have provided a screencap below in order to show the other map that flashes.